And so I did show up. Part of my job as Developer Unleasher is to travel around the world to meet with X-Teamers, to know them better, to learn about their characters, traits, dreams, passions, talents and skills first-hand. Why would I do that? Why would I sometimes jump on a plane and fly to the other side of the planet to shake somebody’s hand and hang out just for a while? Isn’t video chat just enough? Well, not quite. Sometimes you have to experience the reality without the mediation of zeroes and ones. The colour of human spirit needs to painted by heart, not by numbers. 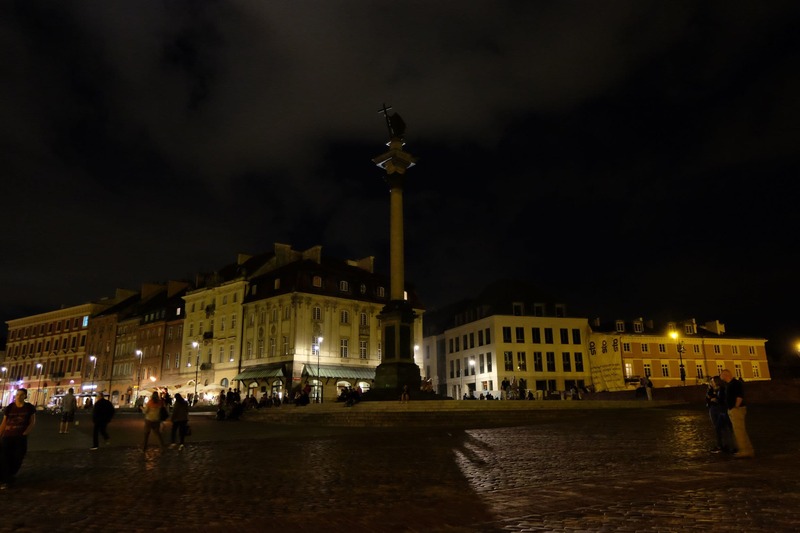 Thus… this time I went to Warsaw. 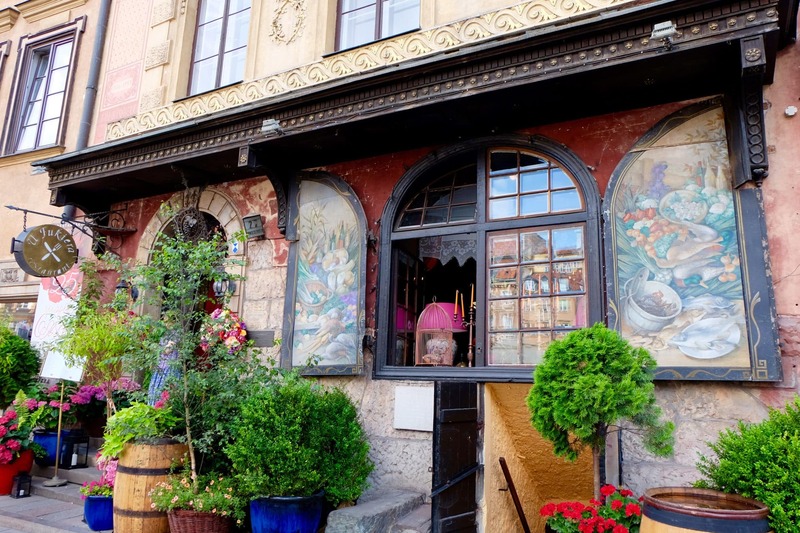 The capital city of Poland was destroyed during World War II, but if you didn’t know that, you would never guess it from what you can see while roaming the streets of the Old Town. Only memorials that stand at places of remembrance so the passer-byers would be aware of the events that happened here not even a century ago, can trigger a moment of reflection, putting a new light on tenements of many tones which cast an awe together with pleasant shade upon you as you walk among them. Warsaw arose from ashes once, and if you are lucky enough to be visiting this prosperous city nowadays, you will surely experience a very different fire, blazing now bright with colors of life. Sightseeing is sometimes about getting lost. 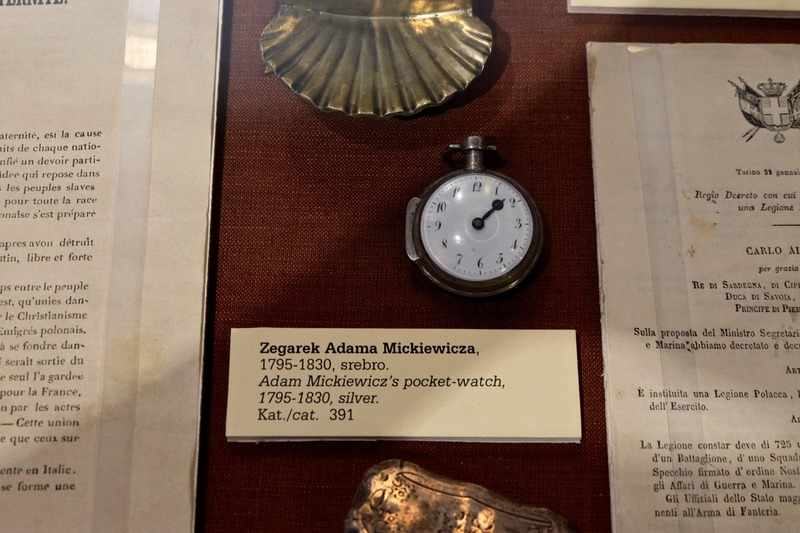 About the thrill of not knowing where foreign, narrow streets can take you, what awaits just behind a corner… And if it happens to be a collection of autographs and personal belongings of figures such as Adam Mickiewicz, a principal figure in Polish Romanticism, one of Poland’s “Three Bards”, widely regarded as Poland’s greatest poet, make sure to stop by. Such heirlooms always seem to evoke charming memories, even if you were never a part of them. That day I had a chance to take a glimpse into the past life of a poet, an academic, a teacher. Michał Kawalec is passionate about programming languages, he’s also the man behind Monadic Warsaw, a cyclical meetup devoted to functional programming. On 15th July the event was held for the 4th time – and surely it was not the last time people interested in the topic could gather in PaństwoMiasto pub. Actually, calling the place just a pub won’t do justice, as it has its own meeting and conference rooms on the 2nd floor, which makes it a very interesting and fitting place for any kind of meetups or even a small conference. There are only a few steps from a nice talk to a nice pint. Very efficient! The meetup was supposed to have two speakers, but eventually and unfortunately one of them couldn’t make it. 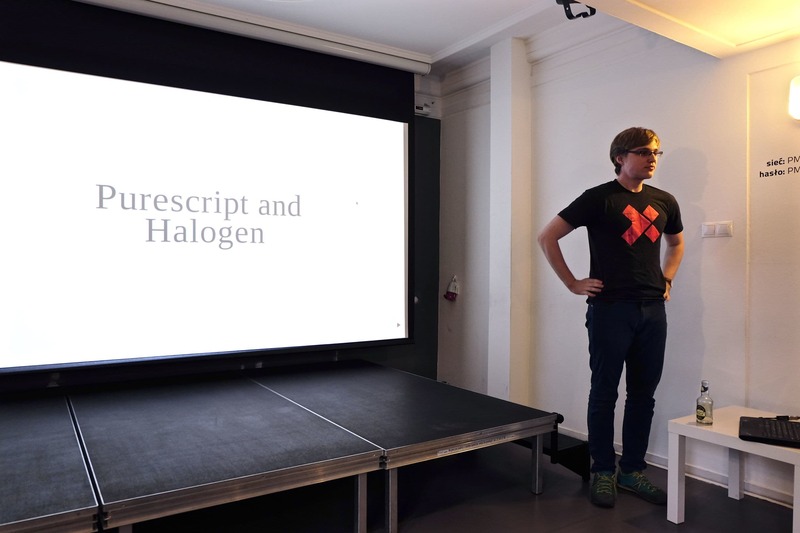 That didn’t discourage Michał from rising to the occasion and preparing an awesome presentation and a talk about Purescript and Halogen. The beginning of the talk was planned for 7:00 pm, and just a few minutes before the hour zero you wouldn’t call the room particularly “crowded”. But developers, perhaps just alike wizards, arrive exactly when they are meant to, thus they numerously and magically appeared just at the right time. The audience was ready. The speaker was ready. 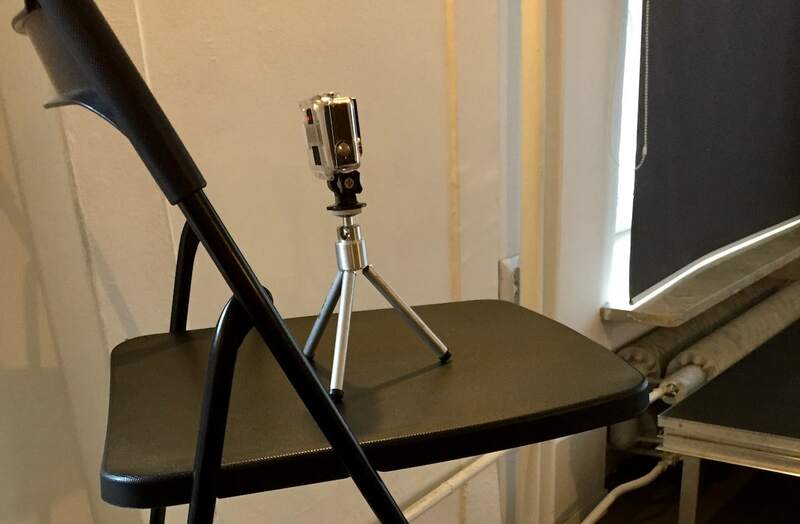 The pro recording station was ready. Why did he prepare it, why did he decide to share his knowledge in the upstairs of a pub for a few people? Michał told me the reasons are very simple and straightforward: he wants to meet new people, and that events like Monadic Warsaw are not going to organize themselves. Both those reasons combined give the third: thanks to his undertaking Michał learns a lot every time; each event is a unique experience. 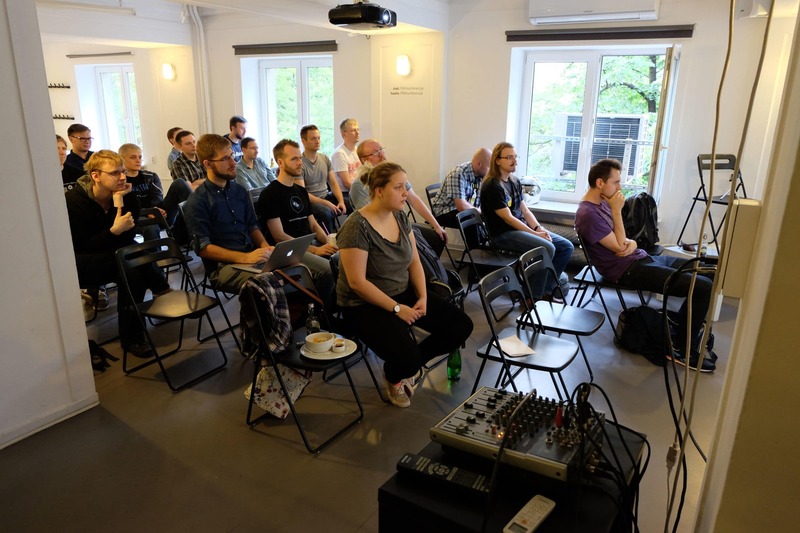 Between the 3rd and 4th meetup there was quite a long break, but Michał and Ewa, the organizers, promised Monadic Warsaw will be held again on a regular basis – monthly. If you are into functional programming, untypical pubs, cities with rich history and beautiful architecture, or even tasting regional food (dumplings anyone?) – drop by sometime to Warsaw.